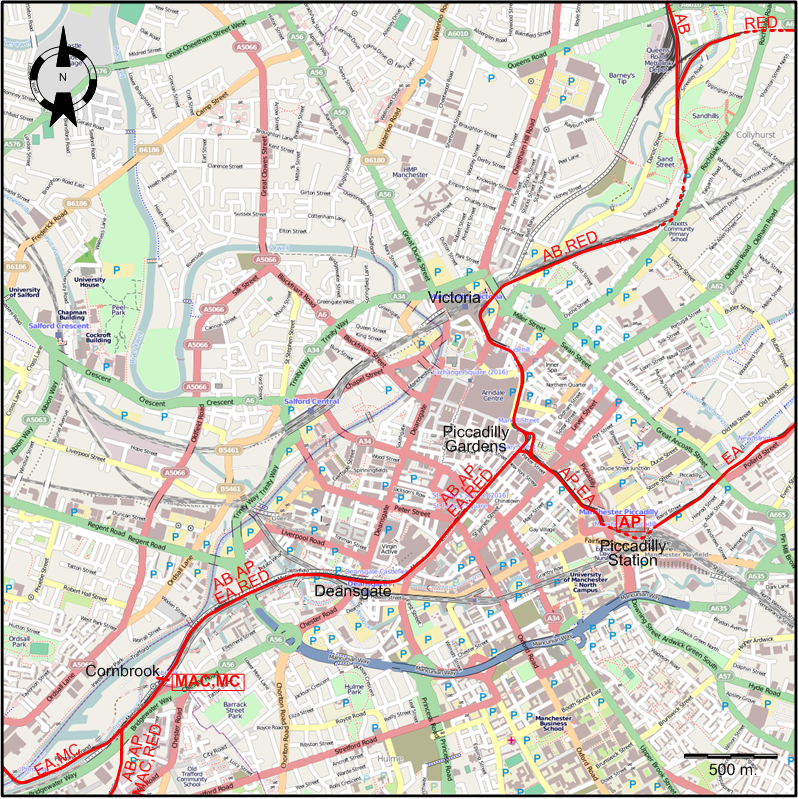 The Manchester tram network after the extension to Rochdale Town Centre (31 March. 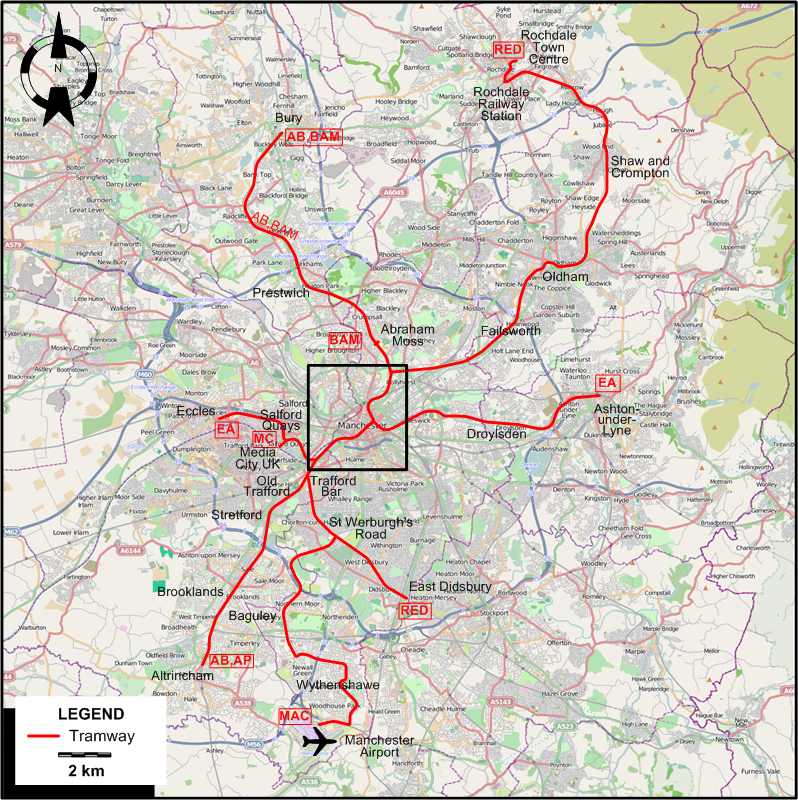 2014) and the opening of the new line to Manchester Airport (3 Nov. 2014). The route letter designations are for convenience, and are not in use by the operator. NB: The above routes are normal Monday-Saturday services. 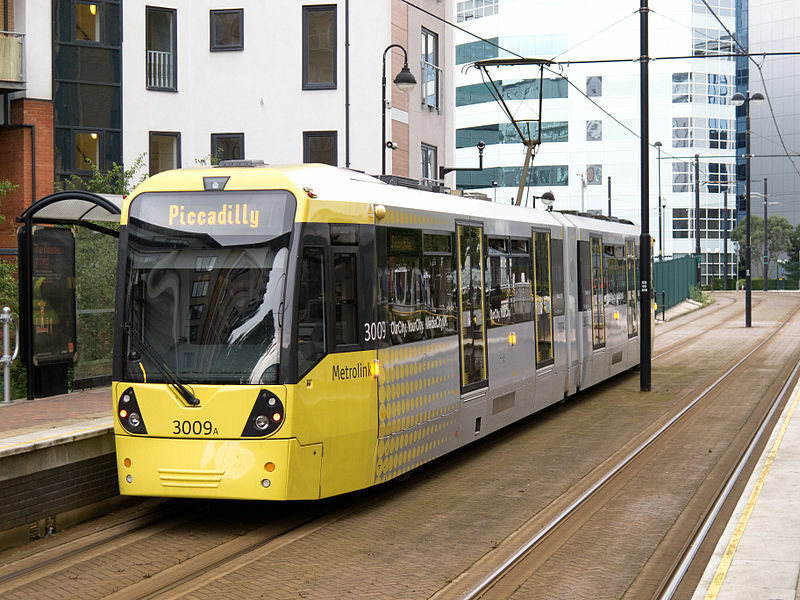 On Sundays and holidays, only routes AB, EA, MAC and RED operate (EA through Media City UK).